Making chicken cordon bleu is normally a time-intensive process. Breading, stuffing, baking. All of that takes the time that could be used elsewhere in the kitchen, house, family or even work. This shortcut takes a lot of the fun out of cutting into the creamy, cheesy pocket, but still gives you all the taste. The secret is to layer the ham and cheese on the chicken, like an open-faced grilled cheese. The chicken is cooked in a skillet, the ham and cheese are added, and then it is served that way. 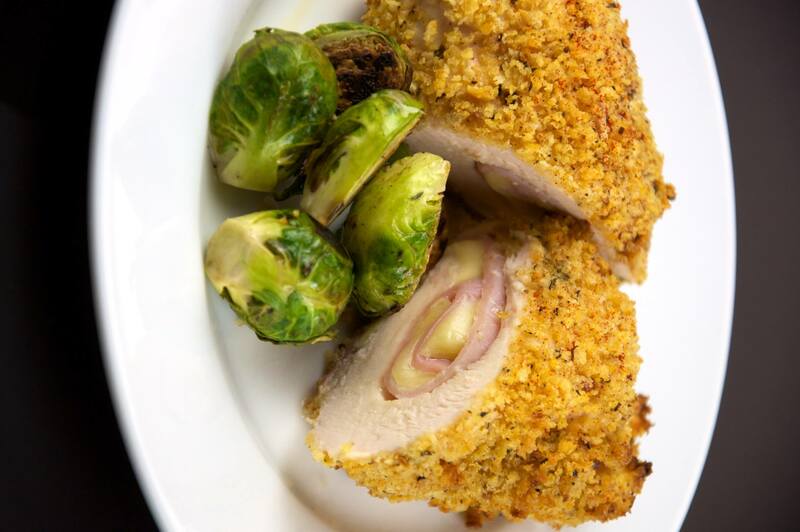 Chicken Cordon Bleu is a timeless dish that people will enjoy eating. Breaded chicken breast is cooked in a skillet to the perfect texture. Remember to top the chicken breast with ham and cheese as well. That will complete the recipe and get it tasting good for guests. Be sure to heat the skillet and cook using the right technique too. That will heat the meat and prevent cool spots from spoiling the dish.